The hospital’s senior leadership is responsible for the day-to-day operations of Slidell Memorial Hospital and for carrying out policies and directives as approved by the Board of Commissioners. Kerry Tirman serves as Chief Executive Officer of the Slidell Market for the partnership between SMH and Ochsner Health System, which includes Slidell Memorial Hospital, Ochsner Medical Center - North Shore, related clinics and outpatient facilities. Tirman has 20 years of healthcare leadership experience and is noted for his healthcare expertise, with demonstrated success in improving operational process and fiscal health, quality of services and patient satisfaction. In addition to being a Fellow of the American College of Healthcare Executives (FACHE) and a Certified Professional in Patient Safety (CPPS), Tirman holds a Master of Business Administration (MBA) and a Juris Doctorate (JD) from Tulane University in New Orleans, as well as a bachelor's degree in mathematics from the U.S. Naval Academy in Annapolis, Md. After beginning his healthcare career as a Compliance Officer and Ancillary Services Director, Tirman grew into several other leadership positions, including as CEO of Western Plains Medical Complex in Dodge City, Kan.; President of Mercy St. Vincent Hospital in Toledo, Ohio; System COO at Mississippi Baptist Hospital System in Jackson; and CEO of Riley Hospital in Meridian, Miss. Tirman also served as an officer in the U.S. Navy and an engineer at Ingalls Shipbuilding in Pascagoula, Miss. Tirman is married to Vicki Tirman of Pascagoula, Miss., and has two sons attending the University of Alabama. Sandra "Sandy” Badinger is the chief financial officer of the Slidell market. Badinger began her position at SMH in July 2012. Badinger has more than 23 years of experience in healthcare accounting and finance, including leadership positions in diverse and multi-hospital systems in the Greater New Orleans region. 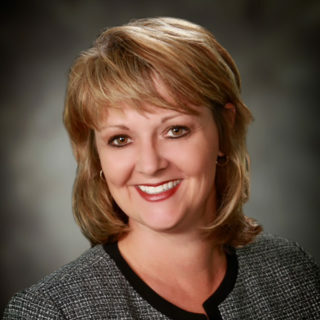 She came to SMH from Cypress Pointe Surgical Hospital in Hammond, where she served as chief financial officer since shortly after the specialty surgical opened in 2011. While there, she established significant operational and financial processes for the new facility. Prior to that, she served as the chief financial officer at Fairway Medical Center in Covington from 2008 to 2011. She also served as chief financial officer at another St. Tammany area hospital, Louisiana Heart Hospital, from 2007 to 2008. Prior to Hurricane Katrina in 2005 and for a year afterward, Badinger worked for Universal Health Services. UHS operated Chalmette Medical Center for many years and later acquired Methodist Hospital as well as Lakeland Medical Center — both in New Orleans East. She started her 11-year career with UHS as a staff accountant, then went on to serve as assistant controller, controller, New Orleans Market controller and ultimately chief financial officer. Badinger is married with two children. She is an active member of St. Jane de Chantal church and volunteers in the St. Tammany Parish school system and community sports. She received both a Master of Business Administration and a Bachelor of Science degree in accounting from the University of New Orleans. 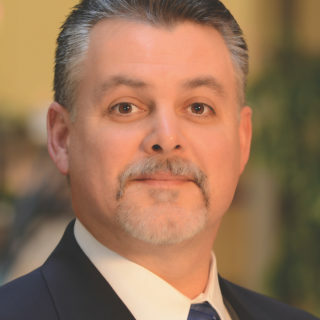 Gilbert "Gil” Ganucheau, Jr., serves as the Chief Legal Officer for Slidell Memorial Hospital. Earning his law degree from Tulane University School of Law in 1983, Ganucheau has been practicing healthcare law for the past 23 years. 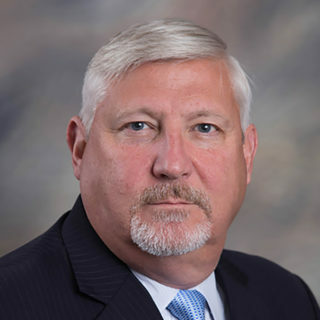 Ganucheau’s work with Slidell Memorial Hospital began in 1995, serving as the Associate General Counsel, and later as the Corporate Compliance Officer through 1999. In 2015 he joined the SMH Team as General Counsel/Director of Legal Services, and in 2018 was named Chief Legal Officer for the hospital. Prior to re-joining SMH, Ganucheau served as an Attorney for the healthcare law firm of Kathleen L. DeBruhl & Associates, L.L.C. for 16 years. During his time at the firm, he served as lead litigation counsel and successfully defended multiple qui tam cases and investigations by U.S. Attorneys Offices and qui tam relators. Ganucheau is married with four children and 11 grandchildren. He is a member of the Board of Directors of the East St. Tammany Chamber of Commerce. He is a Deacon of the Archdiocese of New Orleans assigned to St. Margaret Mary Catholic Church in Slidell. Holly Sanchez began working as SMH's IT Services director in 2011, after acting as an independent consultant to the hospital since 2010. Sanchez accepted the role of Chief Information Officer in 2018, bringing more than 25 years of experience in information technology support specific to healthcare. She has proven ability to develop and execute strategies that result in increasing efficiency and driving revenue for the organization. 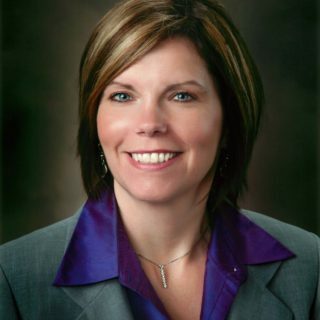 Previous to her experience at SMH and as an independent consultant, Sanchez acted as IT/engagement director for five years at Zavata, Inc., formerly Siemens Medical Solutions, in Pennsylvania, and as assistant director of management information systems for five years at Pendleton Memorial Methodist Hospital in New Orleans. Sanchez also served as assistant director of information systems at Children's Hospital of New Orleans. Dr. C. Bryan Miller is a family practice physician and serves as the VPMA for the SMH Physicians Network. He initially joined the Network in 2010, and began serving in a leadership role at SMH since 2012. 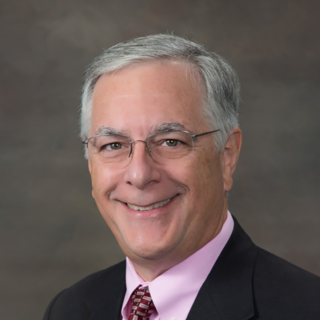 In his role as VPMA, he acts as a physician leader and representative to all providers within the SMH Physicians Network, overseeing the administrative directors as well as both primary care and specialty clinics. Dr. Miller also directs the Department of Population Health and Quality Management for the Network. Dr. Miller grew up in Slidell and graduated from Pope John Paul High School. After completing a Bachelor of Science Degree in Biology, with minors in Chemistry and Psychology, at the University of Alabama Birmingham, he went on to medical school at the University of South Alabama, graduating in 1994. He completed his residency in family practice at the University of South Alabama Medical Center. He then moved to Slidell, where he opened his private practice in family medicine. Dr. Miller is board certified by, and is a Diplomat of, the American Board of Family Medicine, and is a member of the American Association of Physician Leadership. He also represents SMH on numerous statewide quality and leadership committees. Dr. Miller is married and lives in St. Tammany Parish. Dr. James Newcomb acts as Vice President of Medical Affairs for the Slidell Market, drawing on his experience in clinical practice and hospital administration to lead the medical staffs of both Slidell Memorial Hospital and Ochsner Medical Center – North Shore. He earned his medical degree from the Louisiana State University Health Sciences Center in 1984. Following graduation, he completed his residency training in family practice at the Earl K. Long Hospital in Baton Rouge. Dr. Newcomb practices at Ochsner Health Center – Slidell. 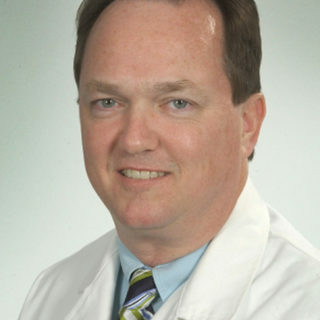 He has been on staff at Ochsner since 2006 and is board certified by the American Board of Family Practice. Dr. Newcomb is a well-known, highly regarded physician in our community. He has been practicing medicine in Slidell for nearly 30 years and has held several notable positions, including vice president of medical affairs at Ochsner Medical Center – North Shore, and medical staff president, board representative and board vice chairman at SMH.